What time is it? Work time! Today I want you to draw your attention to this fabulous compilation of stylish women's pantsuits what are ideal for working hours at offices or banks. There are known lots of black and grey colored versions, what are a tittle bit too boring, that's why I've made this pretty collection of stylish formal suits. It's a power dressing look what has a masculine and sophisticated touch. Let's start from the white suit. This color will for sure make you center of everyone's attention, thanks to its bright look. You can accessorize it with funky and sophisticated jewelry or simply update the outfit by wearing bright color shoes or stylish black slip-ons. The suit with cropped pants is another must-have for those ladies who are bored of wearing basics. The cropped look is ideal for spring and summer work wardrobes. I love the way it exposes a good part of your leg. 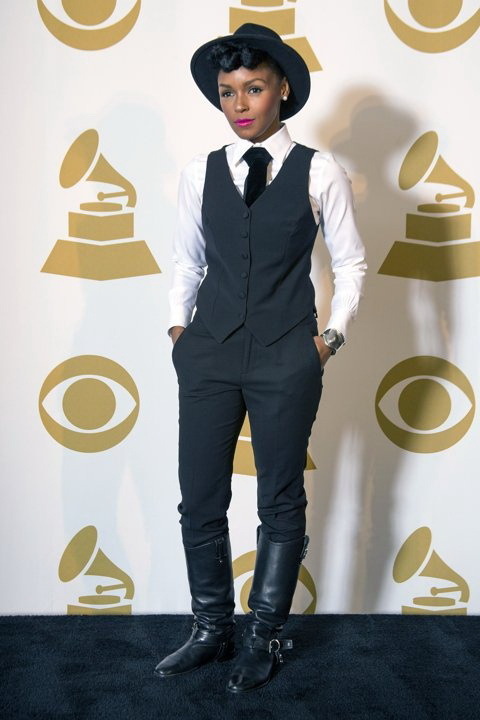 Another great choice is vest suit, what looks masculine and retro-inspired. You can wear tailored vest with a nice cuffed sleeves shirt, by exposing your beautiful arms. Looking for something less formal, then I suggest you to try a slouchy suit, what will make you feel and look fabulous. If you are one of those babes who loves 1970's fashion, then why don't you try on wed-leg pantsuit? The vintage touch will become your trademark look. You can wear perfectly tailored styles in bright colors, by giving you a stand-out appearance.